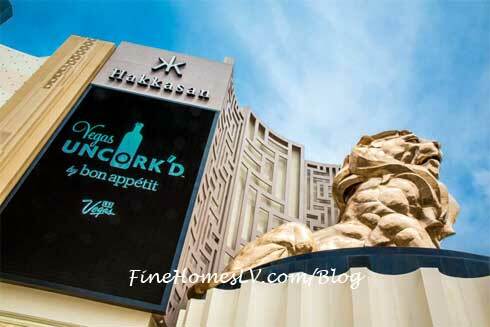 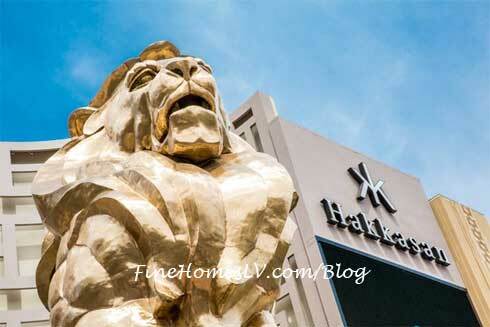 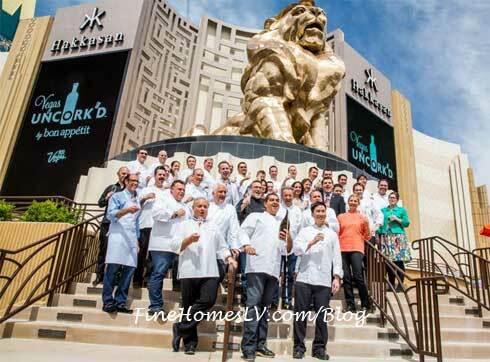 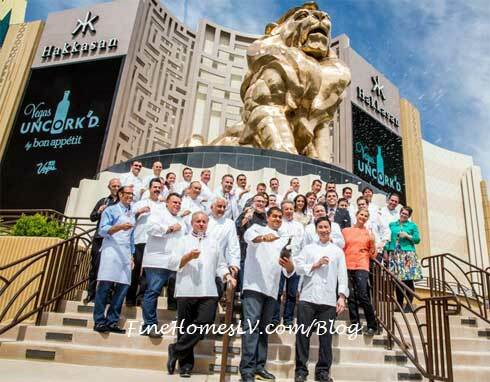 Celebrated chefs from MGM Grand, Bellagio, Caesars Palace and Mandalay Bay joined Michael Mina on the front steps of the MGM Grand hotel’s iconic golden lion. 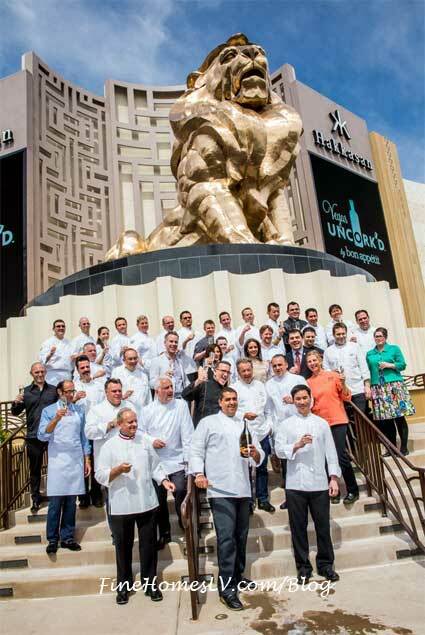 Bon Appétit Editor-in-Chief Adam Rapoport and LVCVA’s Senior Vice President of Marketing Cathy Tull were in attendance of the kick-off festivities. 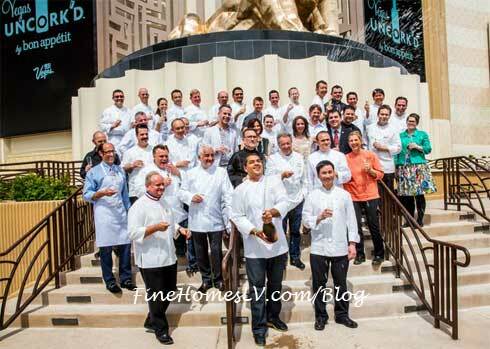 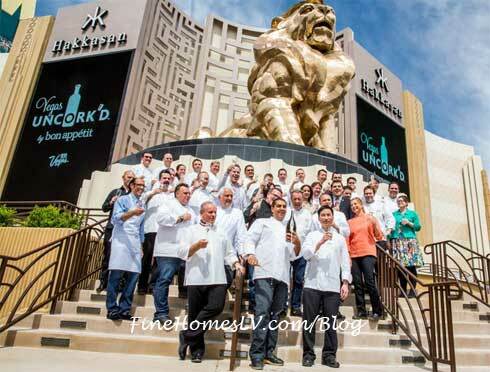 Chefs gathered on the steps on a beautiful day in Las Vegas as they raised their glasses to the saber off by Michael Mina. 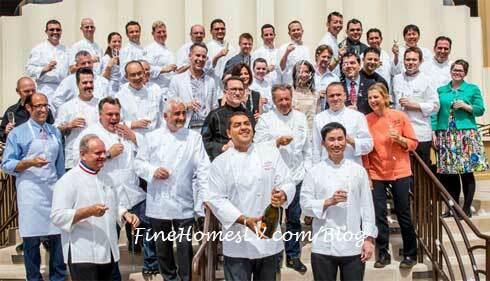 The sweet spot was found and pop, champagne flowed through the air as all in attendance captured this bubbly moment.